The negative impact of a federal hiring freeze and other recent executive orders on Texas’ military community is far from contained. After applying pressure to national officials, veterans groups recently scored a victory when the secretary of veteran affairs said that many of the more than 2,000 open VA jobs would be considered by the VA to fall under “public safety” exemptions to the executive order calling for a federal hiring freeze. However, the negative impact of a federal hiring freeze and other recent executive orders on Texas’ military community is far from contained. Active duty families interact with the government in a way that many civilians can’t imagine. Almost every aspect of our lives involves some form of government regulation and office, and although President Donald Trump announced the freeze wouldn’t affect military recruitment, a federal hiring freeze could represent understaffing in nearly every department we navigate while in service, such as child development centers. It is hardly just active duty families who are adversely affected by the freeze. There are more than 600 open federal positions in Texas. Many of these probably would have been filled by veterans, who represent one-third of federal hires. Federal jobs have long appealed to veterans, who have preferential hiring, can combine years of military service with federal service to work toward 20-year retirement, and can easily translate military rank into commensurate General Schedule grades for federal postings. 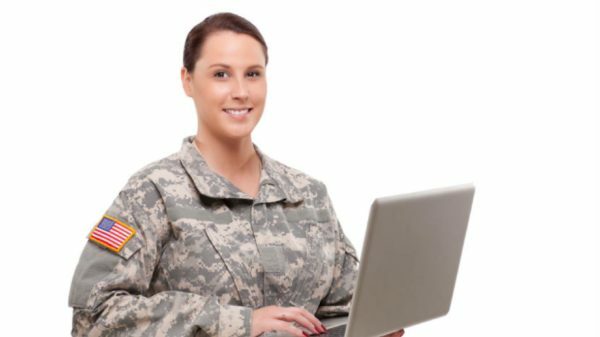 Unlike state hiring practices, military spouses and caregivers also earn preferential hiring in the federal application process. A federal hiring freeze amounts to the removal of this major benefit and will likely contribute to the rate of veteran unemployment in Texas, especially those recently separating from service. In 2013, Texas had 282,053 new Unemployment Compensation for Ex-service-members beneficiaries, the second highest of any state in the country. Nationally, 50 percent of veterans will have a period of unemployment within 15 months of separation from active duty service, and the veteran unemployment rate is 40 percent higher than the nonveteran rate. This hindrance to veteran employment is intensified by Gov. Greg Abbott’s own statewide hiring freeze. Texas prides itself on offering superior opportunities to our nation’s veterans. Closing another avenue for jobs that offer preferential hiring of veterans could impact veteran unemployment in our state for years to come. Other executive orders and the resulting infighting among state leaders is also harming Texas’ veteran population. For instance, a heated battle between Abbott and Travis County Sherriff Sally Hernandez over policy disagreements on sanctuary cities led to Abbott retaliating by blocking $1.5 million in grants that, in part, fund the county’s Veterans Court. The cuts went into effect immediately, leaving the court little time to prepare. The program is for veterans charged with nonviolent offenses resulting from service-related mental health problems, and it has shown great promise in getting veterans out of the criminal justice system. Veterans struggling to readjust deserve compassion, and they should not be used as political pawns. Another executive order banning refugees and immigrants from seven majority-Muslim countries has widespread implications for service members stationed in Texas. There are currently multiple units at installations across the state deployed to Iraq and Afghanistan. This order foments anti-American propaganda and recruitment. Further, it causes immediate risk to troops in Iraq, who depend upon the vital trust and cooperation of local allies and interpreters. The ramifications of these executive orders could have been easily anticipated by veteran and military stakeholders. The governor’s office’s doubling down on these policies, coupled with one of the largest military and veteran populations in the country, means Texas will be extremely impacted by any negative ramifications of these policies on the military community. Veterans groups need to continue to pressure state leaders, Congress and the new presidential administration to make military families a factor. In turn, these leaders need to seek input from these groups when making decisions that affect national security and federal institutions utilized by the military community. As a country, we pride ourselves on sending our troops prepared with the best equipment. Whether locally or abroad, veterans and service members have earned the right to be at the very least a consideration when shaping policy. As Texans, we have a duty to fight for the needs and safety of these communities. Jennifer Aronson is an active duty military spouse and the project coordinator for the Veteran Spouse Network at the Texas Institute for Excellence in Mental Health at The University of Texas at Austin.